Austin Felton is a serial entrepreneur, technologist and foodie who lives in Austin, TX. Do you ever wonder what makes websites fast? What can you do that makes websites fast and why does it even matter? 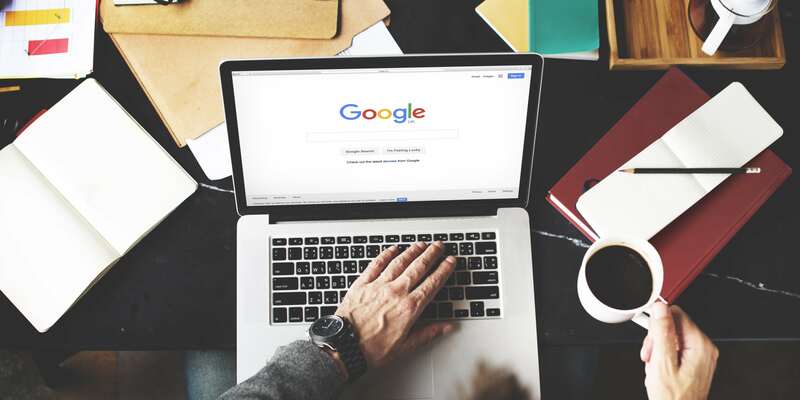 Google and Yahoo both care immensely about your site speed when it comes to how they rank sites in their search results, which ultimately affects your bottom line. Their goal as a business is to create the best possible customer experience and when they serve a slow site to someone who is looking for a solution they don’t deliver on that experience. The same goes for your website as an online business, your customer’s experience is everything. For example, Kissmetrics, a leader in online marketing says that 40% of visitors bounce if their site takes more than 3 seconds to load! Don’t let something so basic and trivial cost you money and notoriety. In order to help save you from the clutches of a mediocre customer experience, we created this simple companion guide to our speed test which shows you what Google and Yahoo say makes websites fast. Each of the 14 major factors contributes to your load time. Find out how your website performs against Google and Yahoo’s metrics by testing your site below, your free full report will lead you back here armed with the knowledge of which factor(s) your website may be underperforming in. After which you’ll find the easiest solution that we have tested for that exact issue and say goodbye to your slow site and hello to a faster, higher ranking version. While you don’t necessarily need to fix every single one of these issues, you DO need to get your load time down as low as possible and each one of these factors contributes. *Entrecloud says: Make sure to backup your website before you start making changes to your site! Don’t know which of these is relevant to you? Take our speed test to see exactly which of these plagues your site! This is 100% related to your current web host, if you are seeing this is on your speed report switch to a faster web host like Entrecloud. We do all of this for you and guarantee that your site will be faster and we’ll even migration your site for free with no downtime. Having a mobile friendly site is key in 2017. 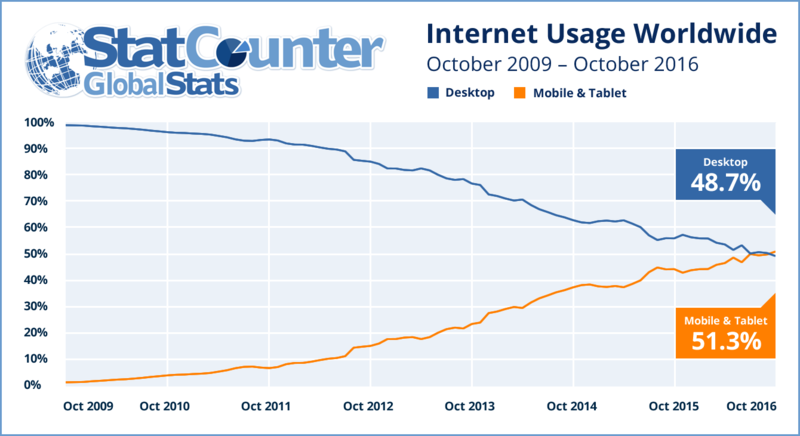 Within the past eight years, we have quickly moved from browsing the web on desktop computers and laptops to consuming MOST of our content on our mobile devices. Just in the states alone, “US mobile search is roughly 58 percent of overall search query volume.” More than half of all searches in the US are done on mobile devices! This massive trend indicates what many online business owners are quickly realizing… In order to stay relevant and continue to provide value and make money from your online business, you MUST optimize your site to be mobile friendly. This article explains what “mobile friendly” really means and shows you exactly what you need to do to your website to improve your mobile lead generation, engagement and conversion rate. The most important factor that contributes to mobile friendliness is usability. Or more simply put, how well does your website appear on a mobile device? Is it responsive? Are there any weird design issues? Do the images scale well with different screen sizes? The quickest and easiest way to answer these questions is run your site through Google’s mobile-friendly test. This test will tell you exactly how “mobile friendly” your site is and offer suggestions on fixing issues that it detects on your site. Looking at mobile friendliness through the lens of Google’s requirements is also ideal in order to rank higher in Google Search. Also you can further your investigation about the usability of your website by running the Google Search Console test within Google Analytics. This will help you understand at a deep level what may be negatively affecting your site as well. The second most important factor for mobile friendlines is Page Load Time. Page Load Time is the amount of time your potential customer is stuck waiting for your website to load. As the internet has become beyond integral to our daily life, we have become less patient. In fact, the time it takes for your page to load is critical to the success of your business. According to the statistics, 79% of customers refuse to revisit a site that took too long to load while 44% will go on to tell their friends about a slow site. According to KissMetrics, literally 40% of people leave a site that takes more than 3 seconds to load. This is massively important in understanding your potential customer’s behavior on the web. We created some simple steps you can follow to make your website lightning fast. Most of these steps involve installing free WordPress plugins, which is super easy. While others are more involved and might require a developer. The speed of your website is dictated by two things, the quality of your website’s code and the web hosting company you choose. And if either of these aren’t done correctly you will ultimately lose money and possibly customers. We created Entrecloud out of a mission to make the internet fast and support entrepreneurs in growing their business. Site speed is such an integral part of that mission. Which is why we guarantee that every website you host with us will be faster than your last web host by at least one second. (usually much more. Not only that, we will also migrate your sites for free with zero downtime making the transition simple and painless. Getting set up will take you less than 5 mins to complete, and essentially no technical knowledge is necessary. If Your Site Takes More Than 3 Seconds To Load, You’re Screwed (plus how to speed up WordPress). When you land on a website that doesn’t load instantly, what do you do? If you’re like the majority of human beings on the internet, you click your way to greener pastures. Few things bring out the need for instant gratification like browsing the Internet, but page speed (site speed) affects more than just our dizzyingly short attention spans. Aside from user satisfaction, page speed plays a crucial role in SEO (search engine optimization), especially on-page SEO. Even more importantly, it directly impacts a site’s ability to convert visitors into paying customers. If you’re an intelligent online business owner and you care about converting traffic into sales, it pays to get your page up to speed. Speed Up WordPress: Why does it really matter? How slow is too slow? Since you’re unlikely to stick around to wait while a website loads at a snail’s pace, you shouldn’t expect visitors to your WP site to do the same. Let’s breakdown the importance of page load time and speeding up WordPress, then I’ll give you 7 easy ways to make your site load faster. Consider this: In 2010, Google officially announced that page load time is a part of its ranking algorithm. Therefore, even if your SEO game is on point, it may all be for naught if your pages load slowly. When I first read that last stat I was floored, literally 40% of potential paying customers vanish if your site takes more than 3 seconds to load! I shudder to think how much money people with slow sites are leaving on the table. If your site is slow I feel for you, let’s make it fast. Now that you see how vital it is to speed up WordPress, you’re probably chomping at the bit to make your website load at the speed of light. Then again, you might be worried about what that actually entails. Will it cost a lot of money? Will it involve a lot of time and effort? I have some good news for you: There are plenty of easy, free ways to boost a site’s load speed. We have rated each of these with a technical difficulty level! Sure, they’re convenient. Here’s the thing about plugins, though: They often drastically reduce load time, and they can cause security problems too. Eliminate all unnecessary plugins from your site, especially the ones that are bogging it down. Check out the official WordPress.org Guide for “Cleaning House” for your WordPress install. Every element that exists on a website must be requested and then processed by the server. Therefore, the more elements a page contains, the longer it’s going to take to load. Images, stylesheets, scripts and the like all contribute to the work that must be done to render a page. There are many ways to reduce the number of elements on a page. For example, combine several stylesheets into one. Eliminate as many scripts as possible, and place those that must remain at the bottom of the page. Whenever possible, use CSS instead of images. Here is a guide on how to reduce your HTTP requests, the fewer HTTP requests, the more you speed up WordPress. When someone visits your page for the first time, their browser must download all of the elements. Therefore, the page loads the most slowly the first time. On subsequent visits, it will load a lot more quickly–as long as you’ve enabled browser caching, which places temporary files on users’ hard drives. In turn, fewer requests are made, and the page loads more quickly every time thus you speed up WordPress. Ideally, static elements (like images and text) should be permitted to be cached for a minimum of one week. CSS files, media files, image files and the like should be allowed to be cached for at least a week or, even better, a full year. Third-party elements like ads should be allowed to be cached for at least one day. A quick way to get basic caching setup would be to use a caching plugin like WP Super Cache. Users love webpages with lots of images, but those unoptimized images can really slow things down and hurt your site speed. Three things affect how quickly an image loads: its size, its file format and its src attribute. If the latter is inadvertently left blank, the server will get bogged down trying to locate the attribute. Ideally, images should JPEGs or PNGs. GIFs are so-so, but avoid TIFFs and BMPs at all costs. As for size, crop images prior to uploading them. Try the WP Smush It plugin to quickly optimize images. Shrink down the files that make up your site so that they load more quickly, this leads to massively speed up WordPress. Any file that’s 100kb or larger should be zipped and compressed to reduce HTTP response time and bandwidth. Make sure that your server is setup to enable compression, and use gzip, which is supported by around 90 percent of browsers, to make things even easier. More than anything, the hosting that you rely on affects your site speed. Entrecloud, a WordPress hosting provider, guarantees that every site you move over will be faster than your old hosting provider by at least one second, we speed up WordPress for you. We also completely eliminate the pain and frustration of moving to a new host with free migrations and no downtime in the process. It takes less than 5 minutes to get setup. Whether you run a high traffic blog or an online business, we have you covered.